You provide us with you arrival and departure information. We will pick you up at the Lima airport and drive you to your hotel. If arriving during the day service starts upon airport pickup. If arriving during the night, service begins the next day. Our guides are experienced local surfers who will drive you along the deserted coast of Peru to the best breaks of the day. Surfing everyday is guaranteed; from knee size to double or triple overhead. It's all about swell size, direction, tides and places. Surf vehicle (max 4 passenger plus driver), if more, a second surf vehicle is available. Petrol is not included. 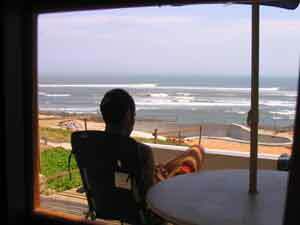 We can get your surfing Peru in digital video so you or your mates can enjoy the trip as much times as wanted. Ask us for the service. Surfing equipment renting upon request. All kind of equipment, let us know before you arrive what kind of gear you want, and we will help you to get it. 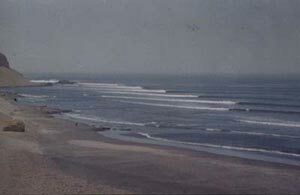 PeruSurfGuides have divided Peru in three areas to offer the personalized service of surf guiding. You can choose one of them, two of them or all. We recommend you put in contact with us before, we let you know what area is the best for you. 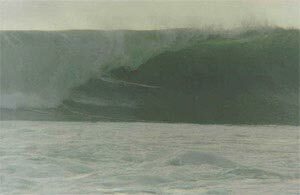 This is going to depend on the time of year you want to come, the swells hitting at that moment, your level of surfing, gear you would think to bring and the most important for how long you are planning to surf in Peru. We will be happy to help you. You arrive in Peru and the first move you have to do is going to know Costa Verde beaches, it is a long road in the city where you will find the historical Waikiki beach and club, where modern Peruvian surf started, where there is surfing 365 days a year. 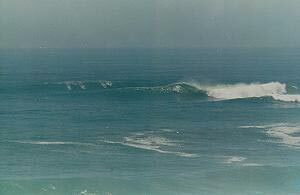 Here in Costa Verde is located La Herradura, this spot is considered one of the best south American waves, it has ½ mile long with one of the best barrels in Peru, this spot has been in dangerous and is in the list of waves to be saved from modern development. Let us know that our operation base is here in this beach. With us you will have a privileged access to this wonderful wave. After a half an hour drive there are Punta Hermosa and San Bartolo, those 2 places are 40 Km down south Lima. With us, you can stay beach front, we have agreements with the best places to stay in these areas. You will be surprise how many spots are here. Density of spots are incredible, never gets flat, NEVER!!. Peru Surf Guides will show you all of them. 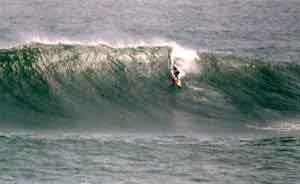 Depending of your level you will be surfing from a beach break to charging big waves such as Pico Alto. You will have idea how surfing is moving these towns where in summer become in party places. From 40 Km up North of Lima you can discover one of the coolest places to surf and also one of the most uncrowded surfing areas. Lefts and Rights. Our guides know perfectly where spots are. Or there is a chance to discover new spots, because most of them have no exploration. Centinela and Bermejo can surprise you if you looking for a fun surf, and Playa Grande is the place if you are thinking to charge. 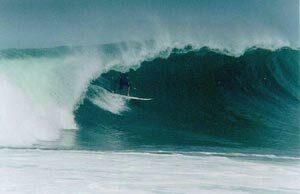 North is magic, warm water, world class reefs, world class waves, long waves. From Chicama to the border the surf is unlimited. The only thing you will need is TIME (and another pair of legs) because distances are long and waves are many. You will get here with one of our guides and he will take you to explore our blessed area. "If you are a Peruvian surfer and you never have gone north, you do not have idea what surfing is…", someone said this and we believe it. We promise you are going to surf the longest waves of your life. And of course you will be staying in front of them. We have agreements with some of the best places to stay in Lima and the Little north.